This page (together with the documents referred to on it) tells you the terms and conditions on which we supply (to the public, third parties or other pest companies) pest treatments (the Service) and products (the Products) listed on our website. All of our Services are chargeable. It will be understood that you have read these terms and conditions and the information on the website carefully before deciding to order any of our Services or Products. You should understand that by ordering any of our Services or Products, you agree to be bound by these terms and conditions. All orders should be placed in writing (not verbally), and we recommend correspondence should be sent in writing direct to us by email to benefit from our confirmation and customer services tracking system. No contractor, sub contractor, pest controller or any other person is authorised, either to accept orders or enter into any negotiations or commitments with respect to supplying any of our services. This website and the services and products on this site are provided "as is" and without warranties of any kind (unless given specifically), whether express or implied, and being paid for any of the services we provide does not mean we inherit or become subsequently responsible for future infestations or normal straight forward (non-professional) D.I.Y. or routine household maintenance/repair jobs or tasks that any homeowner could reasonably perform. By placing an order with us (whether through our site, over the telephone, SMS or by other means), you warrant that you are legally capable of entering into binding contracts, you are at least 18 years old and you reside in, own, or manage the premises, and that you (or your delegated appointed representative) will be paying for and negotiating the service. Should the appointed representative be relieved of his duties, then subsequent negotiations will be treated as a new enquiry. After you (or your appointed representative) placing an order (giving us all relevant information with respect to the reported pest e.g. Location in dwelling, its numbers, when first noticed etc), you will receive an e-mail from us acknowledging that we have received your order. Please note that this does not mean that your order has been accepted. Your order constitutes an offer to us to buy a Service or Product. All orders are subject to acceptance by us, and we will confirm such acceptance to you by sending you an e-mail, fax or letter that confirms that we have accepted the order (the Confirmation). The contract between us (the Contract) will only be formed when we send you the Confirmation. We reserve the right to refuse to supply our Products or Services. The Contract will relate only to those pest services that we have confirmed in the Confirmation. We will not be obliged to supply any other Services which may have been part of your request until it has been confirmed in a separate Confirmation. If you do not agree with anything in the "Confirmation" then you should contact us immediately. If you have chosen to only communicate via SMS or TEXT then you will not receive the benefits of our standard "Confirmation", and bookings are undertaken entirely at the clients risk. For the purpose of these conditions, the relevant Pests shall be whichever pests in the locations that are referred to in the Confirmation. The General Terms together with the terms set out in the relevant schedule hereto shall apply to the Contract, and it is assumed that you have read and understood the Terms and Conditions of the contract before placing an order. The contract between us (the Contract) ends on completion of the work described in the confirmation and any subsequent requests for products or services will be deemed a new contract. You hereby permit us to apply approved pesticides and or deploy equipment as we deem necessary, to deliver an effective treatment. Failure to do so (concerns with pets etc) may compromise the effectiveness of the treatment and this is entirely at the clients risk..
You agree to ensure 1) Free access to all parts of the premises for the purpose of inspection treatment or surveillance 2) Access to an electricity and water supply if required 3) Agree to ensure that any/all preparation work has been carried out prior to the visit. 4) Agree to ensure that all safety and recommended treatment instructions are followed during and post treatment. 5) To conduct yourself in a courteous manner. Any abusive or threatening behavior will result in the pest controller terminating the treatment and leaving the premises. You agree to supply us with all relevant information regarding the dwelling i.e name of client, name of payee, preferred method of payment (Cash or IBAN), property address, direction etc (including Spanish contact number), preferred date and time of appointment, prior to the visit. Also all relevant requested information (possibly including picture), with respect to the infestation, suspected infestation or re-infestation at the property. Once we have all the information we will then send the Confirmation. You also agree to immediately inform us (in the case of a pest no-show as a result of adverse weather conditions) on the day of treatment. Failure to do so may incur further cost. You hereby covenant not to request or permit us to access any part of the site or premises which you know or suspect to be hazardous, or in which a potentially hazardous process is carried out, without first briefing us or our inspector on the nature of the hazard and the precautions to be observed. You or your nominated representative must be available at the site during the agreed date and time slot, unless prior arrangements have been made in advance for us to carry out the Service in your absence. Under these circumstances you will obviously not receive the benefit of any pest control advice from the pest controller. Should advice be required, then a post visit "Report" should be requested. Agreed slots are approximate and allowances should be made for previous job over runs or traffic problems (plus or minus 15 minutes). If no one is present when we call at the premises we will leave, there is no entitlement to a refund and you will still be liable for our contracted fee. If due to weather, clients change of circumstances or instructions, late payment by IBAN, we will re-schedule the work if booked within 14 days. Note further charges may be applied Cancellations received less than 24 hours before the scheduled appointment time will incur a cancellation fee to compensate our pest controller for his or her time. Re-scheduled visits will have to be paid in advance (plus any unpaid cancellation charge) by IBAN. For cancellations on Pre-Paid jobs, the same cancellation timescale as above applies. If the job is re-scheduled within 14 days then the same price will be applicable. After 14 days the job will be deemed a new job and will be chargeable. We reserve the right to cancel jobs for whatever reason. We do not give refunds for any reason including change of mind. Should a refund be unavoidable, then it will be by IBAN, in full and minus costs. Our call out charge is for calling out to a single occupied and finished domestic property for a single infestation. All call out requests need to be confirmed by email. On occasions where next day call out is not possible (for any reason) then a suitable date and time will always be agreed with the client. Should a pre booked call out be made, and due to weather (e.g. rain etc) a pest no show is possible then a new appointment will be scheduled within 14 days. The call out charge is to treat a single domestic property (excluding drains and septic tanks) in single family occupancy for a single confirmed species. If different species are found, an additional fee for each additional species will be required. We do not phone non Spanish telephone/mobile numbers. If it is unavoidable we reserve the right to charge a min of 10.00 euro supplement. We also reserve the right to charge an additional fee for administration of keys, phone calls, texts, emails etc. We reserve the right to vary our charges from time to time. Quotations whether verbal or in writing are based on the information supplied by the client at the time. Where this information is found to be inaccurate or incomplete then a revised quote will be supplied. Pests breed over time so ignoring them is always going to make the problem worse. Quotations are only valid for 14 days and may well be more if the pest has been left untreated. Killing pests is not an instant or quick fix, and all of our methods/chemicals are tested, effective and do the job. All treatment materials and products are included free in the first call out charge (excluding cockroach exterminator and pool wasp repellent). Treatments are supplied on the basis that they are appropriate to treat the pest problem that is reported. We treat the pests that we see or find on the day and cannot be held responsible for pest no shows due to weather conditions, time of day, third party activity (e.g. cleaners, guests) etc. Under all circumstances, we will use our best professional expertise to administer an appropriate treatment. In the case of Cockroaches and Mice/Rats we will use our best efforts to investigate the source of the infestation by identifying holes etc where the pest may enter the dwelling. But we do not remove or dismantle furniture, kitchen units or false ceilings. Under these circumstances it is the responsibility of the owner to employ the services of a handyman. Whole house or full property surveys are available upon request. Please contact us for prices. Treatments result in dead insects, however we do not generally remove dead insects (e.g. bed bugs, ants, cockroaches, mosquitoes, flies, beetles, wasps etc) as it is impractical to do so. However if the insect is hazardous (e.g. Pine Caterpillars) we do remove them. Due to the nature of some infestations (e.g. Woodworm, Termites, Cockroaches, Ants, Wasps, Rats), repeat visits may be necessary. The repeat visit may be to re-administer poison or top up the bait left in traps or bait boxes. Any repeat visits that may be required, must be pre-paid and are charged at an appropriate rate (or sometimes are complementary), but in any event all products are chargeable. The rate will depend on the complexity of the job, but normally the client will be advised of this and advised of any alternative DIY remedies that may be appropriate. Repeat visits should be booked in to attend within 14 days of first visit and are all pre-paid. Outside this period (due to the nature of insects breeding, regrouping etc) the call out will be deemed a new call out and will be chargeable at the appropriate rate. During a repeat visit, if in the opinion of the Pest Controller the reported pest problem is deemed to be greater than reported or beyond our scope of work then alternatives will be suggested. These may be chargeable. We always endeavor to perform the work as requested in a fast and efficient manner and to the clients satisfaction. Re-infestations are unfortunately outside our control, as re-infestations are governed by the habits and preferences of the bugs, the time of year and/or the lifestyle of the client. See our information page on re-infestations. On our first visit, we treat the immediate problem fast, and also provide the advice you need to avoid future infestations. We are not responsible for re-infestations where the structure is inviting re-infestation due to being unfinished, falling apart, un-maintained, un-repaired or at the end of its useful life. Normally, payments for bookings are made by IBAN Bank transfer. However cash on arrival is accepted if IBAN is not practical due to timescale. All IBAN paid call outs are on the basis of cleared funds 24 hours before the scheduled call out. All appointments made for orders over the standard call out fee must be paid 50% in advance by IBAN, and the balance on completion of job. Appointments made for repeat call outs or whole house surveys need to be paid by IBAN Bank transfer. For clients security and peace of mind, we do not take clients bank details or credit/debit card details. We only provide invoices for account clients. Recommendations, advice or suggestions that are made whether in the visit report, or verbally on site, and not implemented, are at the clients discretion, but non compliance or non timely implementation may result in a chargeable repeat visit or call out. It is the sole responsibility of the client to be present to receive the benefit of the advice given. Advice after the event constitutes a report and is chargeable. Requests from Pests r Us for more information from the client that are ignored or left unanswered may result in us withdrawing our services. We always prefer requests for Call Outs are in writing by email. We always confirm bookings for Call Outs in writing via email. Any communications (other than by email) are entirely at the clients risk. Our pest advice is given in good faith, so in the process of trying to assist the client, should requests for more information be ignored, or questions relating to the problem remain unanswered then we reserve the right to withdraw our assistance without notice. Inspections do not include the dismantling of any units, furniture or appliances. Inspections for termite damage to door frames, fitted cupboards etc does not include removal of architrave. All inspections are visual checks only and recommendations are based on what can be seen at the time. 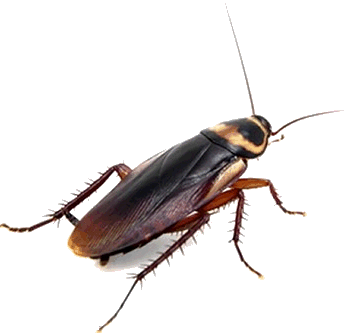 Terms Specific to Cockroach, Beetle, Kitchen Bugs, Treatments. Our Service is to attend your premises, inspect the relevant area(s) and treat the active habitat (i.e. infected area) with the intention of eradicating the problem. The Cost of the Service is for treating a single domestic property (i.e. rooms that have a made up floor, a normal entrance/exit doorway and where the construction is finished and safe). If any additional treatments are required, additional payments will be due. a. All areas to be treated be cleared (any dropping left in place for inspection). Loose items or ornaments removed to give clear access to all floors and any surfaces to be treated. b. All foodstuffs spillage to be removed prior to treatment and where ever possible food placed in sealed containers. c. Husbandry requirements to be adhered to. FOR YOUR OWN SAFETY, you must not move or touch any gel, bait, or monitor traps. YOU ALSO HERBY AGREE, not to move any poisons or tamper with bait, equipment, poisons unless specifically advised to do so by us in writing. You acknowledge that if you fail to comply with any of these requirements, we shall be entitled to stop the treatment, as it will be compromised, and you will still be charged. We shall use reasonable endeavors on the first visit to eliminate the problem, but if this is not achievable (due to access issues, multiple entry/exit points etc), we shall seek to control them instead. For example, if the core infestation is emanating from another property (including another flat within the same building), we will seek to control the problem as we will be unable to eliminate them, or alternatively in the case of cockroaches we may suggest the use of our cockroach mass extermination box to control the pests external to the premises. Our Service is to attend your premises, inspect the area that has been reported as being infected and treat the active habitat with the intention of controlling the pest. We will always endeavor to catch the rodents (catching rodents in open spaces is not viable), however should we not find any active rodents in the house when we inspect, then mechanical traps/pads will be baited and laid as a precaution. The Cost of the Service is for treating a single domestic property (rooms that have a made up floor, a normal entrance/exit doorway and where the construction is finished), including the immediate gardens and grounds, occupied by one family. This cost or payment of this cost is not governed or dependent on how many rodents the clients believes to be present, and the job will be detailed on our confirmation. An additional fee will be charged if the premises is occupied by more than one family, additional treatments are needed, or if any treatments are required in outbuildings, stables or land where domestic pets or livestock are present. However in some situations, due to the safety of the livestock, treatments within these additional areas may not be appropriate and we reserve the right to refuse to treat them. The above clause shall apply to the extent that we, at our absolute discretion, determine the necessary and subsequent visits. In some situations, a single treatment is sufficient and in other cases two or three are needed. But in any event we always recommend that traps and tubes are re-baited until the infestation has been removed and this may involve a second chargeable visit. a. not to move any poisons or tamper with equipment / bait stations unless specifically advised to do so by us in writing. b. not to interfere with our treatment in any way, or try to treat the rodents yourself or allow anyone else to do so, unless specifically advised to do so in writing. d. to remove any bird feeders and rectify any defects in the structure of any compost heaps. You acknowledge that if you fail to comply with any of these requirements, we shall be entitled to stop the treatment, as it will be compromised, and you will still be charged. In compliance with animal welfare requirements, on occasions where humane traps are used in any rodent treatment, you hereby agree to inspect each trap at least twice daily and in the event that a rodent has been caught and has not been killed outright, you must contact us immediately on 620 874 657. Where there is evidence of infestations emanating from private or public sewers or from breaches in soil drains we may require you to obtain a specialist inspection of works. We cannot inspect or treat utility company sewers. We will inspect the infected areas and we will treat it if, in our reasonable opinion, it is necessary, practical and safe to do so by installing appropriate traps. The call out service does not include any subsequent removal of dead rodent carcasses, re-baiting of tubes or traps, or disposal of any glue boards. Call outs for these services are chargeable. We will not create openings or interfere with the structure of your property when treating it. It is your responsibility to ensure we have suitable access to areas where treatment is required. We may mention a few ways to help reduce the risk of the pests coming back, for which there shall be no additional fee. However, this is not included within the price, we shall not be under any obligation to provide such advice and we shall not accept any responsibility for any such advice we give. The service is to treat a single domestic property in single family occupancy and where mice and rats are encountered the appropriate fee for each species will be required.